EPA proposed correcting the “flaws” in the cost-benefit analysis of a controversial Obama-era rule. 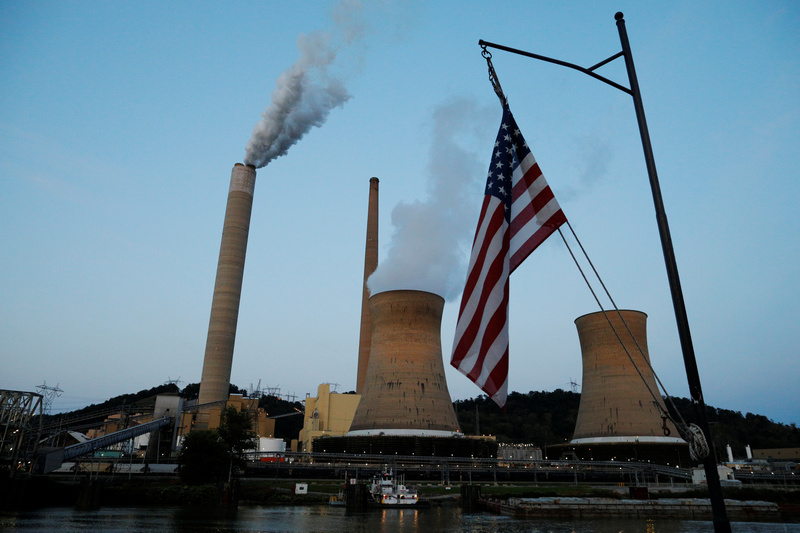 The rule, called MATS, forced coal plants across the country to close based on a skewed regulatory review. “[T]he putative mercury benefits are much closer to zero,” said one policy expert. The Environmental Protection Agency (EPA) proposed correcting the “flaws” in the Obama administration’s regulatory analysis for one of its most expensive air quality regulations on the books. The agency’s new accounting of the Mercury and Air Toxics Standards (MATS) found the costs of the Obama-era regulation outweighed the benefits by a ratio of 1,600-to-1. “This action proposes to correct flaws in the Supplemental Finding and proposes to make a revised determination that it is not appropriate and necessary to regulate HAP emissions from coal- and oil-fired power plants,” EPA said in a press release Friday while the federal government was shut down. Based on EPA’s updated analysis, the agency proposed regulations on mercury emissions were not “appropriate and necessary” as defined by the Clean Air Act. However, EPA won’t actually repeal MATS since power plants have largely complied with the rule. Indeed, utilities already spent $18 billion complying with the 2012 regulation, including shuttering hundreds of coal-fired generators not worth the expense of installing new pollution controls. The U.S. flag flies on Campbell Transportation’s towboat M.K. McNally as it passes Mitchell Power Plant, a coal-fired power-plant operated by American Electric Power (AEP), on the Ohio River in Moundsville, West Virginia, U.S., Sept. 10, 2017. REUTERS/Brian Snyder. Republicans and coal industry supporters saw MATS as a major part of the so-called “war on coal” since it resulted in coal plant closures. Critics also charged the Obama EPA misused “co-benefits” — estimated monetary benefits from incidentally reducing other pollutants — to disguise the high cost of MATS. The Obama administration initially estimated the benefits of MATS ranged from $37 and $90 billion, largely from the co-benefit of reducing fine particulate matter and ozone pollution. Former Competitive Enterprise Institute Senior Fellow William Yeatman found the actual benefits of reducing mercury and other hazardous emissions were virtually non-existent. “According to the EPA, the MATS rule is necessary in order to protect a supposed population of pregnant subsistence fisherwomen, who during their pregnancies eat hundreds of pounds of self-caught fish from America’s most polluted bodies of fresh inland water,” Yeatman told The Daily Caller News Foundation in 2015. “I suggest these ‘victims’ don’t exist, and that the putative mercury benefits are much closer to zero,” Yeatman said. 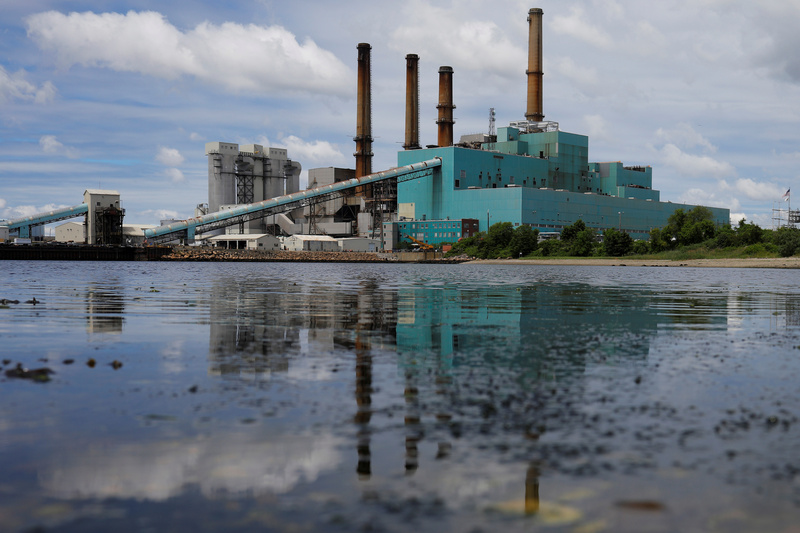 The Brayton Point power plant, a coal fired power plant which was shut down on June 1, sits near the Taunton River in Somerset, Massachusetts, U.S., June 7, 2017. REUTERS/Brian Snyder. Environmentalists were not pleased with EPA’s reworking of the cost-benefit analysis for MATS. “This is a direct attack on the health of children, pregnant women, and families,” Christy Goldfuss, senior vice president of energy policy at the Center for American Progress, said in a statement. “This move is beyond the pale — even for an administration whose culture of corruption has run rampant. And to do it during a government shutdown, when the EPA is poised to run out of money tonight, is shameful,” Goldfuss said. The U.S. Supreme Court struck down MATS in a 2015 ruling, sending the regulation back to a federal appeals court, which upheld it and ordered EPA to perform an updated cost-benefit analysis of the rule. The Obama administration found the rule “appropriate and necessary” and reissued it in 2016. The Trump administration indicated in 2017 legal filings it was considering rescinding MATS, but has now decided not to do so.